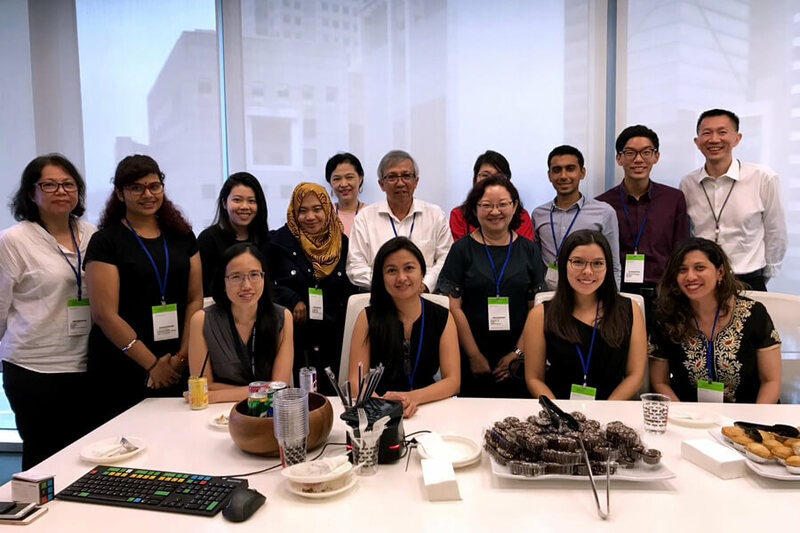 TMC Academy’s IPRS Student Chapter Members had the opportunity to visit Bloomberg’s office for a studio tour and presentation by Singapore Bloomberg News Bureau Chief. Find out what valuable insights our students gained during their visit! This article has been published in the Institute of Public Relations of Singapore (IPRS) Newsletter (Aug/Oct) Issue. Click here to view. Bloomberg is a forward-looking company focused on building products and solutions. Bloomberg news produces more than 5000 stories every day. It is distributed in nine localised versions and its content is syndicated to more than 1000 media outlets worldwide. Stephanie Phang, Bureau Chief, Singapore Bloomberg News, kick started the session by giving us a tour to TV Studio. They will run Live Asia programming with News Maker, company’s CEO and Analysis early in the morning at 6am to mid-morning followed by handing over the Live Asia Programming to Middle East. Business – They cover companies such as SIA, Temasek Holdings and other listing companies. Finance – They cover important news from the bank such as OCBC. Markets – They cover Stock Markets in SGD, Yen. Economics – They cover economic budgets, GDP. Technology – They cover lasts technology companies such as Google, Facebook, Grab taxi. Politics & Government – They cover news on election or political issues. All the stories posted on websites are on bullet points due to the preference of their clients and readers. Linus Chua, Partner of Bloomberg, added ‘All the information collected are accurate as they are from reliable source such as Singapore Economic Development Board, MOM and STATS. Bloomberg is doing well by the number of hits on websites’. Overall, the audience had a great session. They found answers to the questions such as what kind of news they cover, how they accumulate accurate data for their news and how they attract the readers or clients. The session ended with tasteful snacks and drinks. 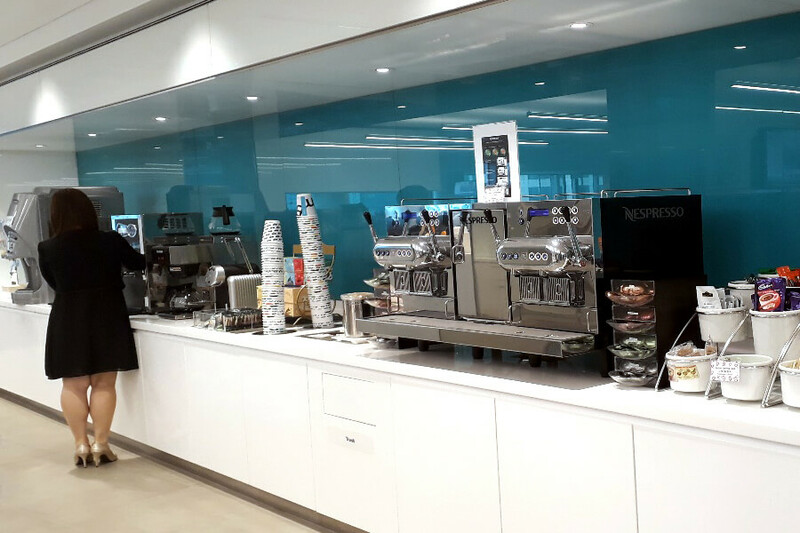 Before the start of TV Studio tour, participants had the chance to visit Bloomberg’s Pantry. 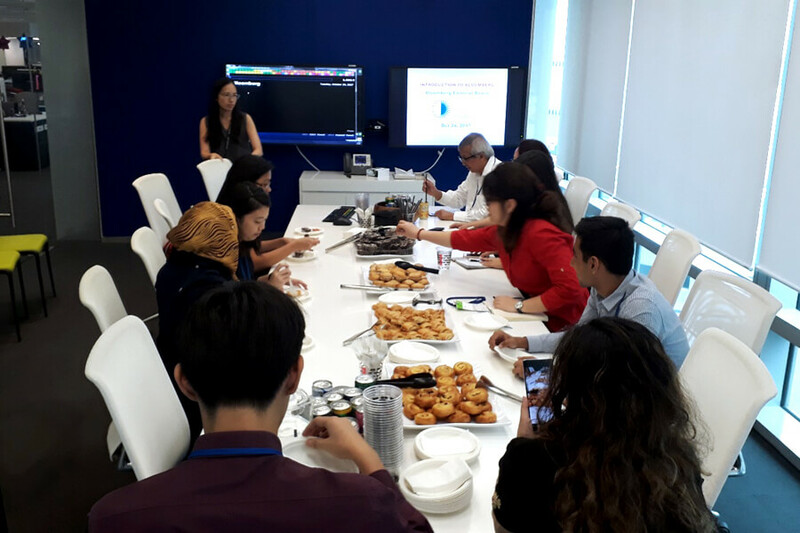 During the presentation, participants were enjoying their snacks and listening attentively to the host, Stephanie Phang, Bureau Chief, Singapore Bloomberg News. A mandatory group photo taking after the networking session. 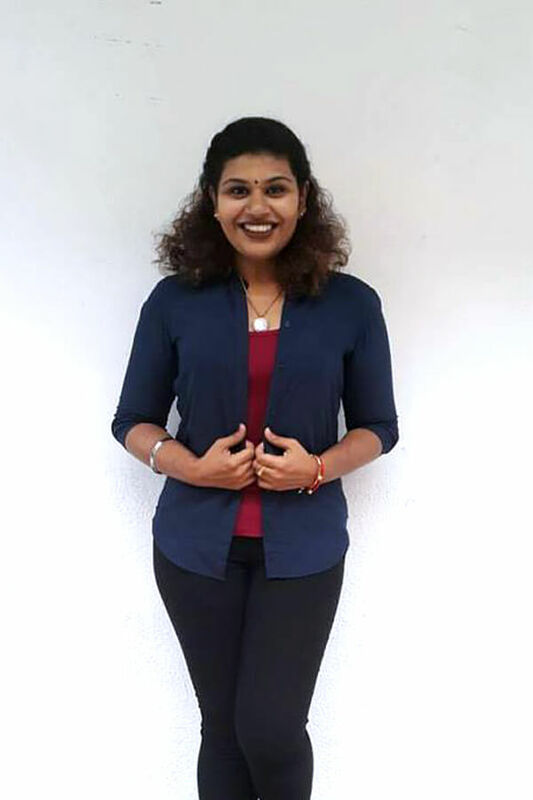 The IPRS (Institute of Public Relations of Singapore) Student Chapters provides plenty of networking and industry visits for our Mass Communication and Infocomm Technology students. Read here and here.